Integrative Health Coach. Reiki Healer. Massage Therapist. CranioSacral Therapist in training. What first attracted me to a career in massage was my own personal experience. 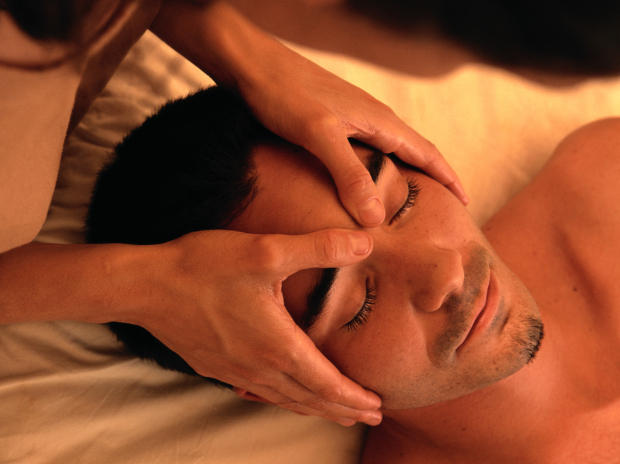 My first massage was in a spa setting while traveling extensively as the Personal Assistant to a major folk musician. Before this experience, I was worn down, exhausted and not taking very good care of myself. Getting that massage woke me up to the importance of self-care and feeling connected to my body. Through that connection to my body I was able to acknowledge my needs and honor them. I was also able to connect with my own truth and inner desires. I realized then and there that I wanted to support people on their healing journeys! I sought out the support of a Life Coach to help hone in on next steps. Shortly after that I applied and was accepted to CenterPoint: Massage & Shiatsu Therapy School & Clinic in St. Louis Park, MN. I obtained my certificate and then went on to become Nationally Certified in Massage Therapy & Bodywork through the National Certification Board for Therapeutic Massage & Bodywork. Since then I have worked in a clinical setting, traveled internationally as the Massage Therapist for the same musician as referenced above and am now launching my own private practice. All while attending the University of Minnesota go complete the Master's Degree in Integrative Health & Wellbeing Coaching through the Center for Spirituality and Healing. I have also been attuned to Reiki Level One and have plans to complete Level Two in February 2016. I will also be continuing my education within the Upledger Institute to become certified in CranioSacral Therapy as I have experienced firsthand the subtle and profound healing capabilities of each of these modalities. I specialize in the body-mind connection and empowering individuals to take ownership of their health and wellbeing. I challenge my clients to think outside the box and take a deep look at their whole lives, their whole person to acknowledge areas of imbalance. I then guide and support them in creating tangible action steps to restore balance and feel whole, vibrant and excited about life! The bodywork I offer is unique. I hone in on specific areas of concern to really get to the bottom of the issue. I will not fix you. I will support your body in the healing process and I will empower you to make the changes to heal yourself. I have recently joined a group of incredible practitioners at the Spaces for Life Healing Life in Minneapolis, MN. Here I offer Integrative Health Coaching, Reiki Healing, Therapeutic Massage & Bodywork and CranioSacral. Other things that excite me and invigorate me are meditation, spending time in nature, being active, connecting with my community, loving on my family and friends and attending live music! Nothing excites me more than working one-on-one with people to explore and change their health in new and vibrant ways! I look forward to working with you!